Choose Air North, Yukon’s Airline! Enhance your clients Yukon meeting experience with convenient departures to Whitehorse from 6-gateway cities including Vancouver, Calgary and Edmonton, Kelowna, Victoria, Ottawa and Yellowknife. 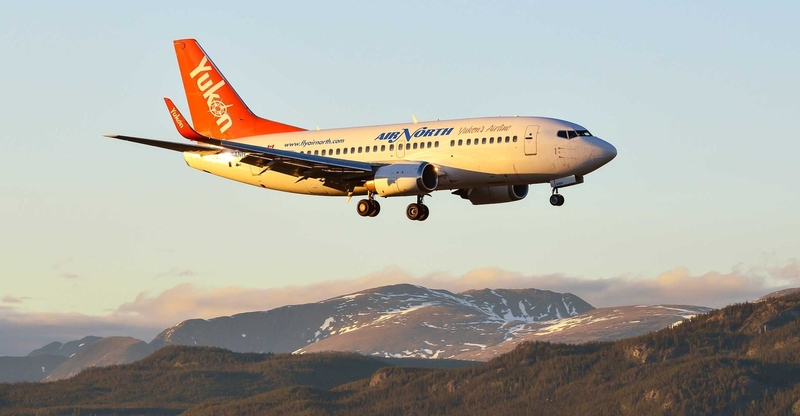 Affordable fares, convenient schedules, northern hospitality, and Yukon products make this airline an exceptional part of the Yukon experience. Light meal service is included from our own made in house flight kitchen. Promotion code for your convention or meeting, which provides a discount on the lowest available airfare (excluding seat sales). A dedicated URL which you may use on your website to pre-fill the promo code, allowing for simple access to promo code airfares. Enjoy authentic Yukon hospitality and service, including complimentary light meals made fresh by our own flight kitchen and generous baggage allowances. One free Travel Certificate for every 40 one-way segments purchased under the issued convention code (to a maximum of five Travel Certificates). No charge for name changes up to two hours prior to departure. Delegates may travel up to two weeks prior to and following the event.